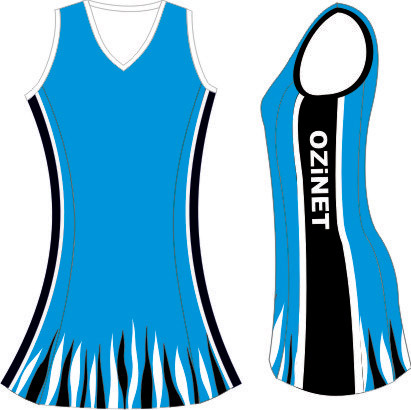 Netball Dresses 100% Australian made and owned. Our netball dresses are designed with player comfort as our priority. 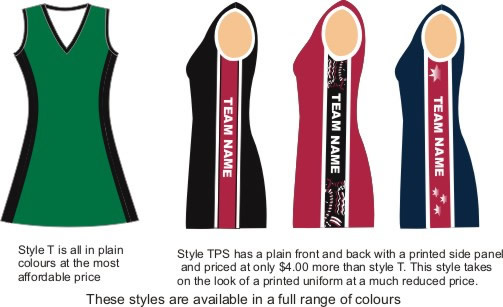 We print and cut to length, to ensure player confidence and movement. 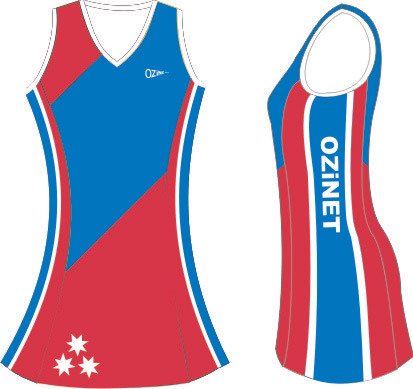 Our uniforms will not climb and cling like many of the Chinese-designed netball dresses currently on the market. 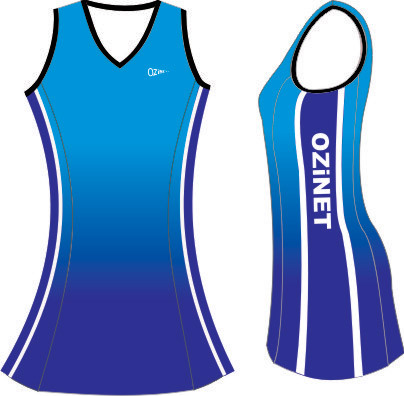 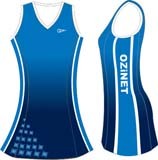 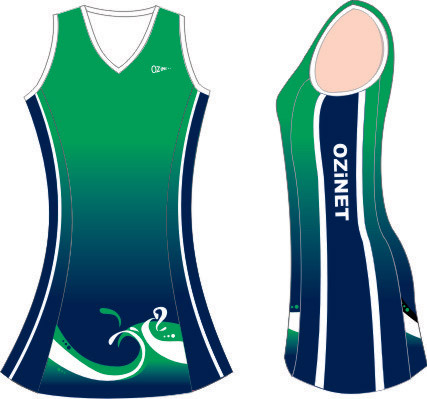 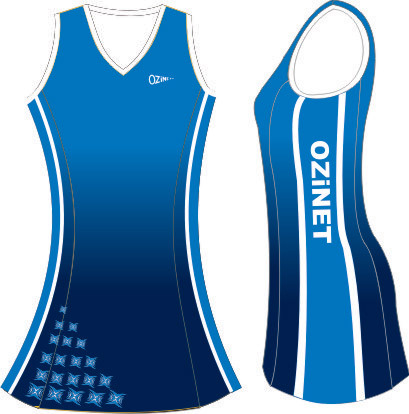 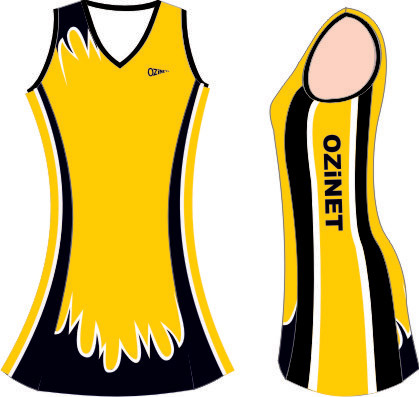 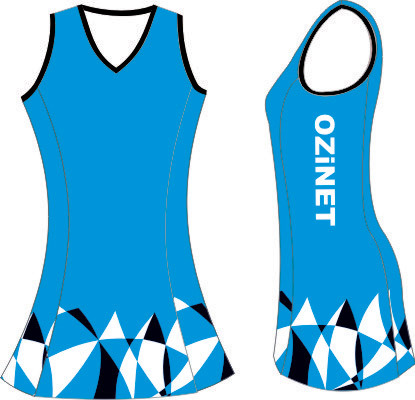 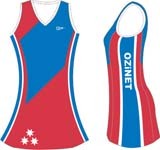 Ozinet Performance Wear entered the market with our original A line netball dress back in 1995. 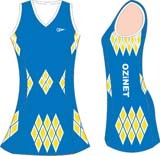 Our original netball dress was a six panel poly-cotton lycra A line design. 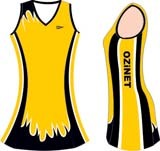 Of course, netball dresses have evolved over time. 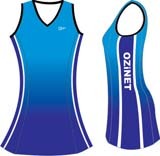 We are now using elite sports fabrics with sweat management properties. 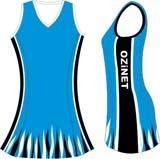 A netball dress made in a fabric with sweat management properties allows the wearer to play in the dress a number of times in one day and still feel like the dress is being worn for the first time. 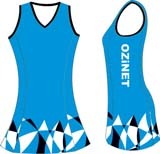 Choose from our designs or give us your ideas to create your dress. 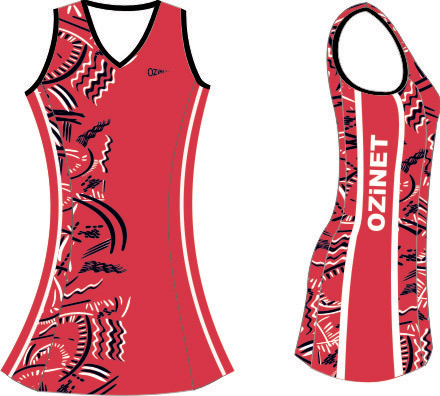 Style TFP is a fully printed A line dress that comes in a choice of fabrics, with sweat management properties.